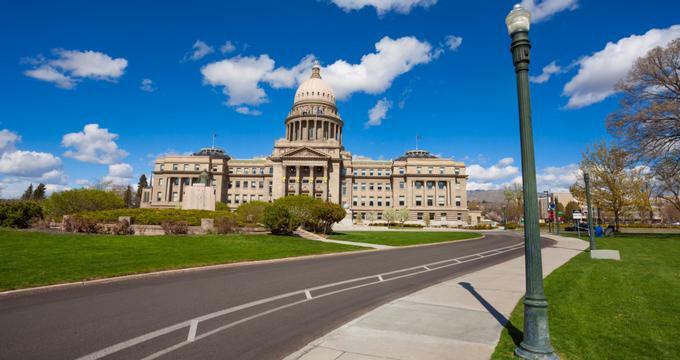 Idaho is known for its spectacular natural beauty and wide open spaces. Plunging waterfalls, undulating wheat fields, rushing rivers, towering pines, and even sand dunes characterize this Northwestern state. Outdoor weddings here range from simple ranches and country farms to luxurious retreats and resorts. Tie the knot in style at the urban-chic CW Penthouse or host an intimate ceremony in a medieval castle at The Castle Gardens. Choose from quaint chapels, historic buildings, and romantic vineyards. Check out these 25 Idaho wedding venues that dot the state and take full advantage of all it has to offer. Harmony Ranch Weddings is a secluded pastoral setting among mature trees on 8.5 acres of beautiful countryside. The venue is hosted by A Lasting Memory/Harmony Ranch Weddings, wholly dedicated to making a couple’s big day a smashing success. There are both indoor and outdoor venues with the option of moving indoors from outdoors at the last minute in inclement weather. The facility includes everything couples need for either indoor or outdoor facilities, including music, sound, lighting, and PA systems, a bride’s room, and in-house catering. This is a good choice for a range of wedding themes. 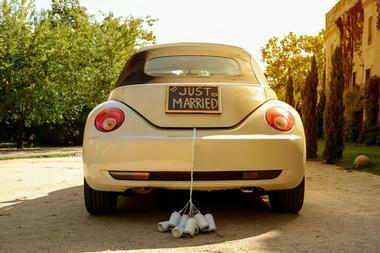 All couples need is a vision for what they want, and A Lasting Memory will bring it to life. Alpine Ponds Event Center is located in Idaho’s Treasure Valley. This flexible outdoor venue works well for the DIY couple. Weddings can be in the sunshine, under a tent, or in the cool shade of mature trees. 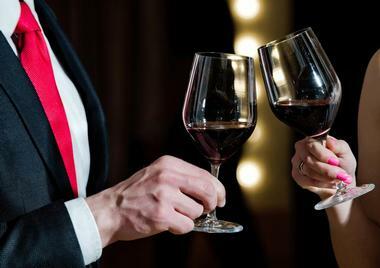 Couples can bring their own décor, food, and even alcohol or enlist the services of the event center to provide all that’s needed from their partners. There aren’t specific packages, but Alpine Ponds can show couples what to expect at different price points. Rentals are morning to midnight and include a bridal suite. Pricing is based on the number of guests and chosen services. Capital City Event Center is located in the 1906 historic Adelmann Building in downtown Boise. The dedicated staff set themselves apart with personalization. 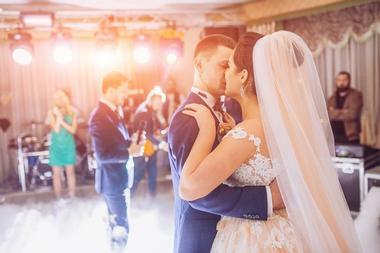 They believe the success of the couple’s event is also their success, so couples can expect personal touches, expert advice, and premier customer service all along the way. Capital City can accommodate everyone from couples who want complete DIY control to couples who welcome a passionate and committed staff to help them. Those opting out of the venue’s award-winning culinary partners for catering must pay a fee for training their own caterer in the use of the facility plus a 20% catering management fee. Couples looking to start their lives together with amazing grace will want to consider Coeur d’Alene Wedding Chapel, home of the former NBC TV show Amazing Grace with Patty Duke. This historical venue bursts with charm in its high domed ceiling, carved wooden pews, stone altar, and traditional balcony. 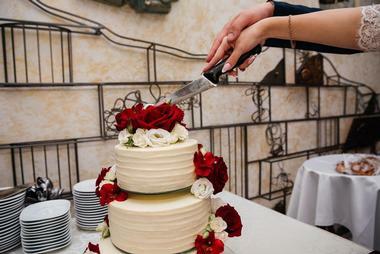 The dedicated staff bring years of professional service in floral design, specialty cake decorating, running restaurants, disc jockeying, and wedding planning to couple’s special day. There are indoor and outdoor spaces to utilize. Four wedding packages range from Elopement to Bride’s Dream. 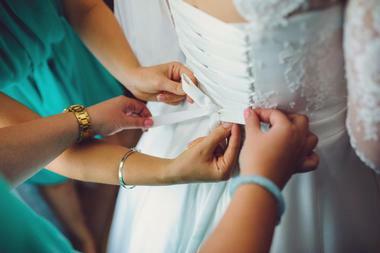 For convenience, the venue can accommodate both ceremony and reception. This is a good choice for traditional or elegant weddings. Comish Hall Event Center is set on the historic Albion Campus Retreat campus. The center can accommodate up to 250 wedding guests. There is a large commercial kitchen, a bridal changing area, and up to 160 Chiavari chairs, 20 large round tables, and other vintage furniture to stage weddings. They also provide a surround sound system and microphone. The venue has flexibility in hosting both the ceremony and the reception, either indoors or out. The historic campus provides a beautiful background for photos or an outdoor ceremony. 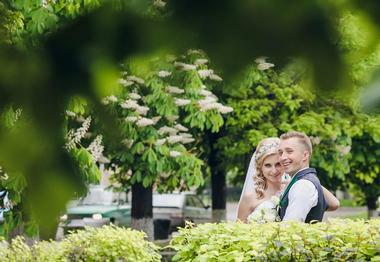 Comish Hall is a great choice for budget-conscious couples and those looking for a vintage wedding venue. CW Penthouse is a premier wedding venue with a gorgeous view. Located in downtown Boise, this event space offers guests expansive views of Tablerock, downtown, the capital, and the Boise foothills. The indoor penthouse space has an open concept with neutral tones and lots of amenities. It opens onto a lovely terrace where guests can enjoy a catered reception and then dance beneath the starry Idaho sky. There is 2,000 square feet of indoor/outdoor space for the couple’s event. CW Penthouse is modern and upscale and is a great urban location for elegant or contemporary wedding themes. Eagle Hills Golf Course provides couples with a serene and beautiful backdrop to their wedding day with rolling fairways, mature trees, and the Boise Mountain foothills. This idyllic locale is backed by an event center staff with more than 25 years of wedding and catering services and has earned a WeddingWire Couples’ Choice Award. They provide top-notch in-house catering, a full bar, tons of amenities included in the wedding package, and optional rentals like dance floors and specialty lighting. 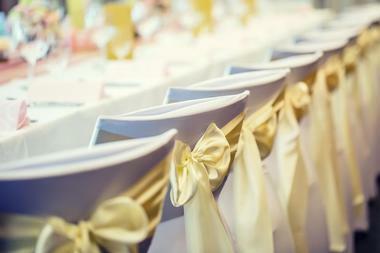 There are ballroom and pavilion event facilities to accommodate both indoor and outdoor weddings. Either choice can accommodate up to 200 guests. Elkins Resort on Priest Lake specializes in outdoor weddings. Their sensational wedding backdrop includes Priest Lake and beach and the Selkirk Mountains. Couples can choose the lodge’s front lawn or their beachfront on Reeder Bay for the perfect wedding ceremony. Whether the couple hosts an intimate ceremony for 75 guests or a lavish wedding of 300, Elkins Resort can accommodate their wishes. For couples with fewer than 100 guests, an indoor lodge wedding is a third option. The lodge will be closed to the public on the couple’s wedding day. Note that there are no July, August, or November weddings at this location. 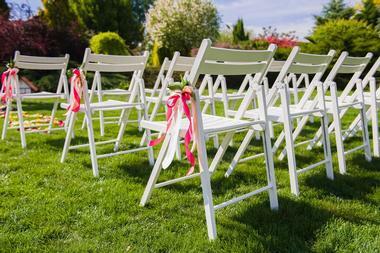 Fourth Street Gardens provides couples with a natural setting for their Treasure Valley wedding. 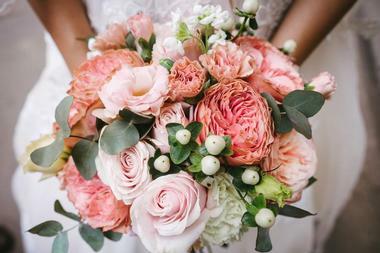 Their specialty is garden weddings, and they have two popular venues to choose from. The Waterfall Garden is a large garden area with a deck that can be used for dancing and has multiple setup areas for outdoor dining and cake service. Pear Garden is the other popular venue, with a one-of-a-kind 40-foot archway under lush pear trees. The 3-acre landscaped grounds include two other gardens to accommodate small to large weddings. Receptions can also be held in the Fourth Street Gardens reception hall. Fox Canyon Vineyards is an outdoor wedding venue in Snake River wine country. The private grounds feature a processional walkway that leads across their wedding bridge to a cliffside gazebo. The grassy setting is under the shade of 100-year-old cottonwood trees overlooking the Snake River. The bride’s quarters include a dressing area with full-length mirror, bathroom, and shower. The groom’s quarters are removed from bride’s quarters and include a TV, comfy couches, a refrigerator, and mirrors. There is even a honeymoon suite for couples who want to save the drive home for the next day. Fox Canyon Vineyards can accommodate up to 200 wedding guests. This is a great choice for weddings with a romantic flair. Juniper Ranch sits on 5 acres of manicured landscaping with views of the Owyhee and Boise mountains. The park-like setting includes a 1-acre pond with six surrounding benches. There is a brick patio with fire pit, three large gas grills, five moveable picnic tables, and four fixed tables with umbrellas. It is a lovely natural setting for an outdoor wedding. Couples can arrange for pre-ceremony dressing areas in the on-site home. Catering and preferred vendors are not included. The venue also provides a swimming area, rope swing, and two ziplines. Juniper Ranch is the perfect setting for a casual or rustic wedding for fun-loving couples. Couples looking for a western-themed wedding will find their dream location at Moose Creek Ranch. Nestled on the western slope of the Grand Tetons, the venue boasts a stunning valley location along Moose Creek amidst romantic aspen trees. This is the perfect location for an outdoor wedding bursting with brilliant fall colors or an indoor wedding on a snowy winter day. Indoor weddings at the lodge accommodate up to 100 ceremony guests, and the barn features a wood stove and large dance floor for receptions. This is also a good venue for rustic, country, casual, and romantic-themed weddings. Couples planning a barn wedding need look no further than Mountain View Barn in Magic Valley. The 1912 historic lava rock barn was the first stone building in Jerome County and has become a local landmark. Mountain View Barn and the surrounding 6 acres can accommodate both indoor and outdoor wedding ceremonies and receptions. Outdoors, mature shade trees casting shadows over a grassy lawn offer a classic country wedding setting. Their 3,000-square-foot upper loft features an expansive dance hall. Couples can rent the entire facility including restaurant, deck, outdoor area, dance hall, and bride’s room. This venue is a viable choice for country or rustic-themed weddings. Rockin’ B Ranch is located at the halfway point between Spokane, Washington, and Coeur d’Alene, Idaho, on the two states’ shared border. What used to be a popular cowboy show venue is now an event center. 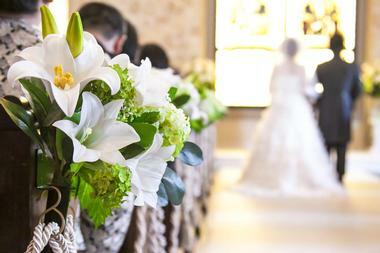 The venue accommodates both indoor and outdoor weddings for up to 300 guests. The barn is decorated with tack, saddles, and other Old West paraphernalia. It has wood floors for dancing, a commercial kitchen, dressing rooms for the bride and groom, and lots of free parking. Outdoor ceremonies can accommodate up to 400 guests on the farmhouse lawn beneath mature shade trees or up to 1,000 guests on the property’s expansive green space. Sandstone Vineyards is situated on a 5-acre vineyard overlooking the Boise front. This garden wonderland will enthrall couples looking for a romantic wedding setting. Couples can expect well-planned lush landscaping that includes a plethora of old shade trees, walking paths, pools, flowers, koi ponds, and fountains. A spectacular 100-foot rustic arbor wrapped with vines leads to the ceremony venue. The covered reception area wraps around a pool and waterfall and includes a covered area for bands/musicians/DJs. The couple’s caterers have an indoor kitchen to work from and a room for food set-up. Sandstone Vineyards provides outdoor reception seating for 300 guests or indoor seating for 125 guests. Ste. Chapelle Winery is nestled in Idaho’s southwestern Snake River Valley. This lovely venue overlooks the winery’s vineyards, Sunny Slope orchards, Snake River, and the Owyhee Mountains. Outdoor weddings can be set up on the grassy area under shade trees with a covered gazebo and dance floor that are romantically illuminated at night. Couples can also rent the indoor banquet room with vaulted ceilings, impressive cathedral-style windows all around, and stained-glass accents. The winery can accommodate up to 100 guests, and rentals include 100 chairs with 17 tables outdoors or 10 tables indoors. This is a particularly great location for sunset weddings that go into the evening. Still Water Hollow is not only one of Idaho’s most unique wedding venues with its country village layout, but is also one of the most comprehensive. Besides being a one-of-a-kind visual venue, couples can participate in classes that prepare the couple for a lifetime of harmony. There are lots of choices for couples at Still Water Hollow, including the 1899 completely refurbished Little White Chapel (indoor or outdoor ceremonies), the Country Village – a circular layout of quaint cottages, a 1-acre pond with an arched bridge and rock waterfall, and a new rustic-chic Barn Hall with hand-crafted details. This gorgeous, multi-faceted wedding venue deserves a look by every couple. 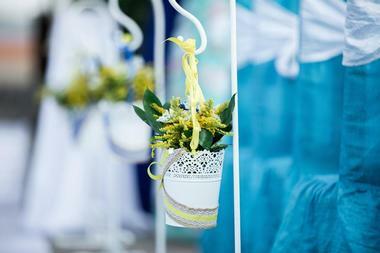 Sunflower Lane is the ideal setting for a country-themed wedding. 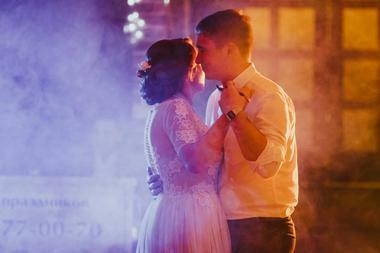 The charming venue features a red barn in the midst of pastoral tranquility. The family-owned venue provides couples and their guests with a relaxing outdoor setting for both ceremonies and receptions. (No indoor alternatives here.) The barn offers brides a charming room for preparation as well as guest bathrooms. Couples are welcome to set up tents/canopies for the big day. Sunflower Lane can accommodate up to 250 guests March through October. 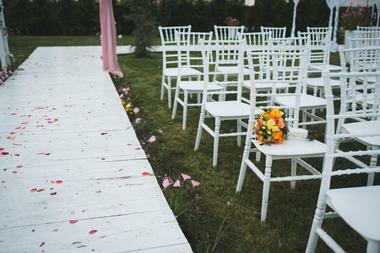 They provide 100 white chairs, and couples hire their own catering. This countryside venue is good for DIY couples who want to design their country, rustic, or casual-themed weddings. Talus Rock Retreat is a gorgeous luxury lodge set in northern Idaho’s ski country. This rustic-chic venue offers couples planning small weddings all the fanfare of a lavish celebration. The Elope & Escape package accommodates up to 10 guests for a private DIY daytime wedding in exclusive surroundings and includes an overnight stay for the couple. The Chic & Sweet package includes use of the entire retreat with overnight accommodations for the couple and 22 guests. The Talus Rock Retreat Local Dream Day package includes an outdoor wedding celebration for the couple and 48 guests, plus an overnight stay for the couple. The Intimate Extravaganza package includes the couple and 73 guests with overnight accommodations for 22. Mountains, meadows, or lakeshore, Tamarack Resort welcomes couples to their wedding venue chocked full of choices. The Arling Center is a historic trio of turn-of-the-century buildings with a central plaza. The Chapel is light and bright with wide windows overlooking the gorgeous outdoors and seats 140. The Grange, the largest of the three, has an upper level venue that seats 184 dinner reception guests with a dance floor or 200 without. The School House is best suited as a wedding preparation venue. The lawn and plaza provide a breathtaking outdoor wedding reception venue for up to 200 guests. One possibility is preparing in the School House, holding the ceremony in the Chapel, and hosting the reception on the plaza. 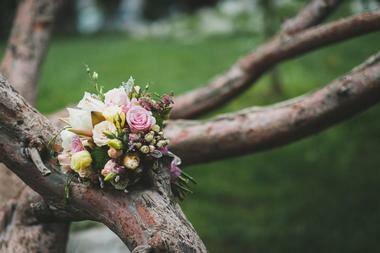 The Barn at Mader Farm is the consummate countryside wedding venue. Situated on a working farm overlooking the idyllic rolling Palouse wheat fields, this venue is one-of-a-kind special. 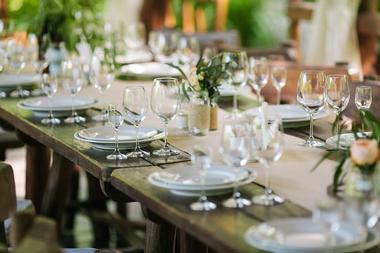 The barn accommodates 250 guests in an authentic rustic setting. Wagon wheel chandeliers hang from the barn’s apex, and wood walls and original exposed beams add to the barn’s character. 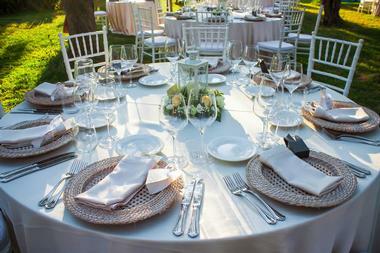 Outdoor weddings can host up to 400 guests. 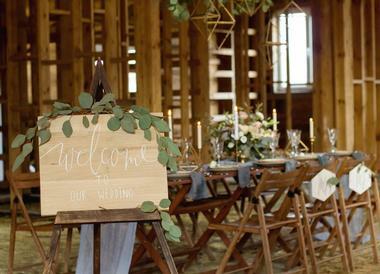 DIYers will love The Barn at Mader Farm, which offers couples creative license with the décor (no candles or flames in the barn), and more set up and take down time than many other wedding venues. 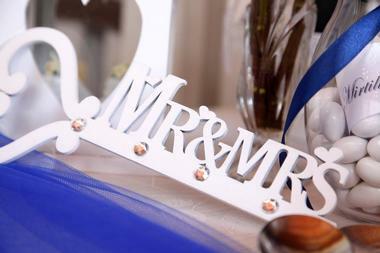 For couples dreaming of a European castle wedding, they won’t have to go to Europe to find it. Located in the Boise Valley, this medieval castle can serve as the backdrop to outdoor weddings during summer or can host weddings of 100 guests or fewer indoors. Couples can choose prepared wedding packages that include a personal event planner, custom invitations, lighting, furnishings, accessories, flowers, linens, and table service. Alternatively, couples can rent the castle and surrounding grounds and choose their own vendors and event planner. Either way, the Castle Gardens ballroom or outdoor grounds will provide an unforgettable space to tie the knot in front of friends and family. Couples looking for a vintage wedding venue will find what they’re looking for at The Haight Home Bed & Breakfast, a historic Victorian home built in 1895. Listed on the National Historic Registry, couples can expect upscale professional service in a natural setting. Wedding ceremonies and receptions are held outdoors on the expansive lawn. The bridal party has access to three rooms in the house for pre-wedding preparations, while the garage provides bathrooms for guests and the kitchen is available to caterers. Also included are two long tables, 10 round tables, 100 folding chairs, and single color table linens. Located in a 1905 schoolhouse, this historic building has been repurposed into a five-story bed and breakfast with 14 suites and rooms. The Roosevelt, nestled in Coeur d’Alene’s downtown, is listed on the National Register of Historic Places. The luxury venue hosts indoor weddings in the inn’s ballroom or parlors, or outdoor weddings among the manicured gardens or on the expansive lawn. 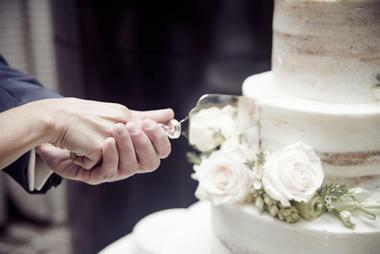 The on-site wedding planner helps couples design the wedding of their dreams. 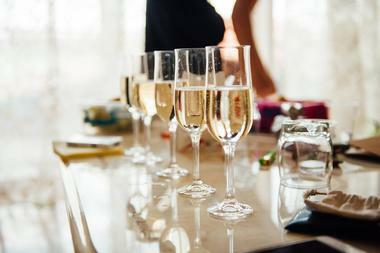 Packages range from 50 guests with 4 hours of event time to 200 guests and 8 hours. 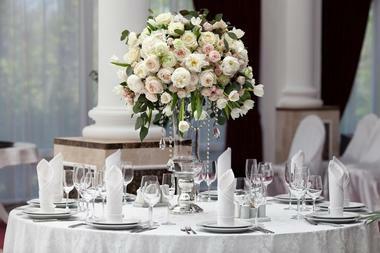 This venue is a good choice for traditional or elegant wedding themes. 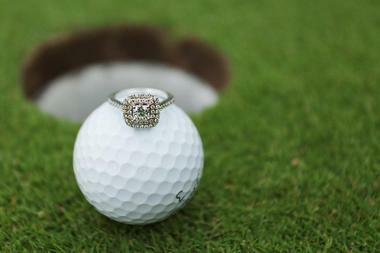 When experience matters, the Waters Edge Event Center should be on couples’ shortlists. 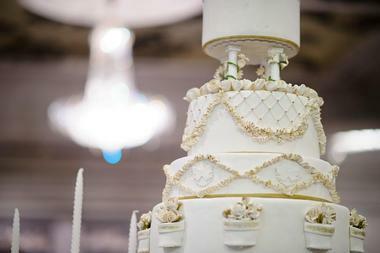 They have been facilitating wedding receptions for more than 20 years. Their consulting style is open and relaxed, and their laidback philosophy of going easy on rules and curfews makes planning anxiety-free. Couples can choose from the Grand Ballroom, which seats 175 dinner reception guests and includes an outdoor covered patio, the Petite Ballroom with seating for up to 50 and an outside patio, or a combination of the two for weddings for up to 225 guests. Other amenities include bar service at their 20-foot-long mahogany bar, the use of bride and groom quarters, and inside or outside ceremony spaces.